There are memories that just stand out, always at the edges of our mind, easy to remember. Some are good memories and some are, well, not so much. One of these memories is my milk can lesson. I was very little living on my grandparents’ farm with Mom and Dad. We were living there for a short while until our new home was ready for us to move to. Because of my size I wasn’t allowed beyond the large wrap-around front porch. 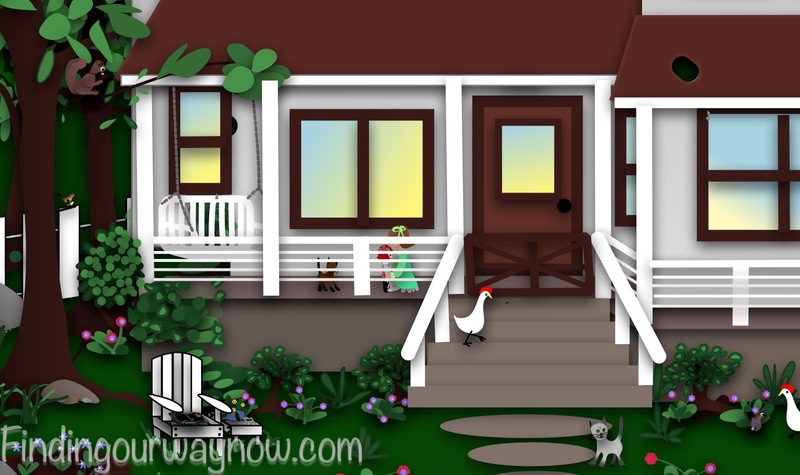 The porch was my playground that consisted of a swing, lots of toys, my teddy bear and an occasional roaming chicken. There was a long gate that stretched across the steps to keep me from wandering off the porch. The wooden steps lead down to an enormous front yard. I yearned to go down those steps and play in the grass. 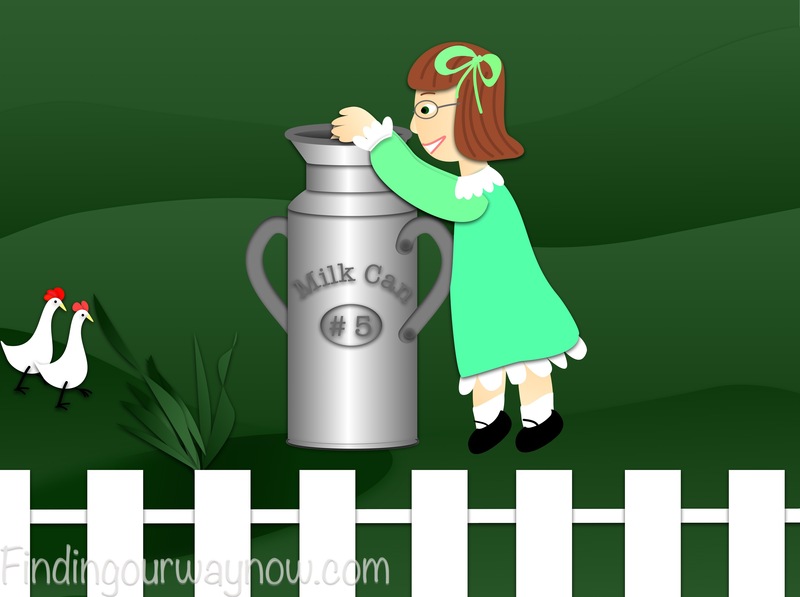 Every so often my grandmother would open the gate and go down those steps across the yard and pour what looked like milk into an enormous milk can. A bit later granddad would check the milk can and then take it away. I would watch this happen day after day. Occasionally someone would leave the gate open. I would hesitate, look around, and then dash as fast as I could off the porch. Down the steps I’d go, making a beeline to that milk can. I never made it very far; someone would always catch me and whisk me back to the porch. It became a game. I would watch for my chance and off I’d dash, only to be whisked up and then deposited back on the porch. As time passed, my curiosity and determination mounted. That milk can became my complete focus; I just had to get there. At every opportunity, I would make a dash for the milk can, only to be caught and placed back on the porch. My young mind imagined that whatever was in the milk can must be really good. Why else would grandma do that every day? I tried different tactics with no success. I kept trying. It was summer and the farm was in full swing with much to do. 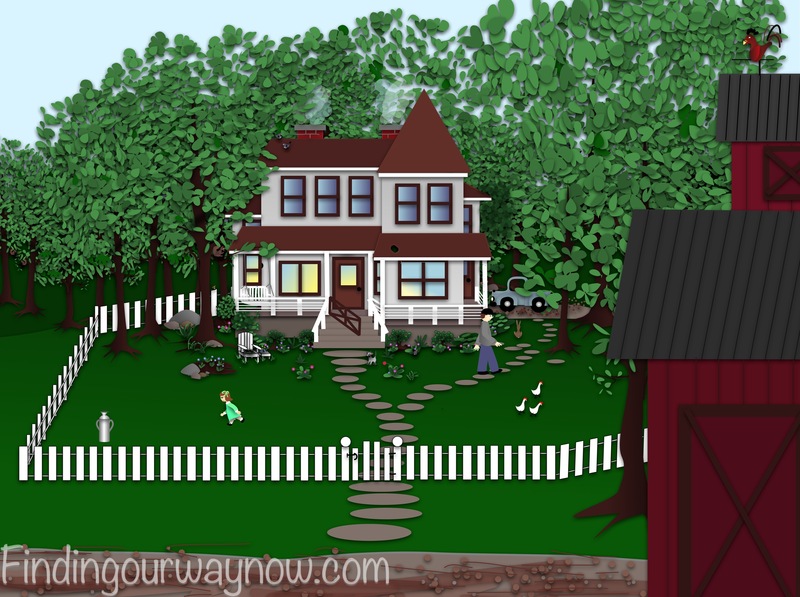 My parents, grandparents, aunts and uncles were very busy coming and going… and leaving the gate ajar. I saw my chance and made my dash down the steps and across the yard. I could feel my little legs pumping as hard as I could make them go. I was totally focused. 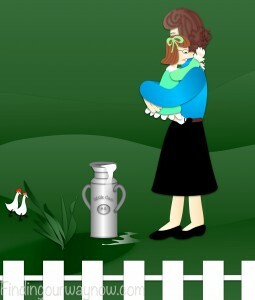 I could see the milk can grow bigger as I ran towards it. YAY!… I made it. 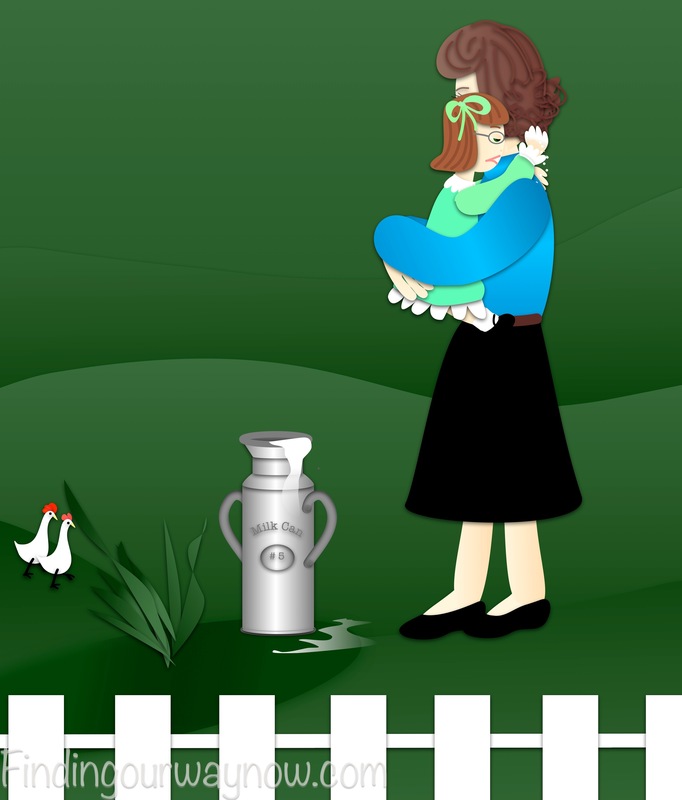 The milk can, cool to the touch, was a bit taller than I was. I stood on my toes and put one hand way down into the milk can and felt the warm liquid. I was too excited to think and had just placed my hand covered with the milky stuff in my mouth when someone grabbed me from behind. It was my Mom. She smiled at the look of surprise on my face. I knew I was in trouble, at the same time I realized a really awful taste in my mouth. With my face scrunched up, I shook my head in disgust and uttered, “EWW!” My Mom just laughed as she carried me back to the house. So what was the stuff in the milk can? I learned that the white substance was sour milk and bits of leftovers from the kitchen. 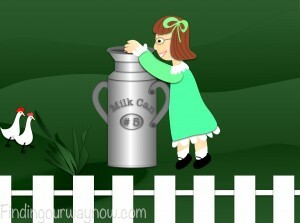 Grandpa would then take what grandma had deposited in that milk can to feed to the pigs. Nasty stuff indeed. After all was back in order, Mom placed me on the front porch, admonishing me to stay put. She had absolutely nothing to worry about. I had learned my lesson. Not all that we desire is good for us. Unfortunately, that is a lesson I keep relearning way too often. What about you? Have you had past experiences that still resonate with you as if it were yesterday? What were the lessons those experiences taught you? 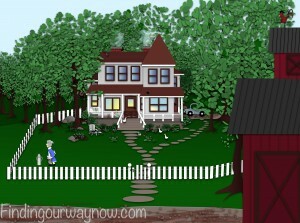 If you enjoyed reading “Milk Can Lesson,” check out Crawdad Hunting, No One Was Watching and Sad Kitty Tale. You also might like my book on Amazon that encompasses many of my stories. Enjoy.